In last week’s article, I began charting out my vision for a future for diamonds, in which they serve as a wealth preservation tool. It is a broad vision, and I want to start detailing how I think we should get there. Some read the Tulip Mania in 1630s the Netherlands as a cautionary tale for diamonds. I think that if anything, it serves as a lesson on what to avoid when setting up a successful and long-lasting commodities market. Although the tulip bulb craze ended up with a price bubble that exploded, many other commodity markets have succeeded tremendously, some lasting for hundreds of years. There is evidence of rice commodity trading that dates back even thousands of years. The underlying requirement for a successful market of any kind is a belief in the traded item. Be it a soft commodity such as rice, a hard commodity like gold, or a modern commodity like art, in all cases there is a widespread acceptance of the viability of the traded item. For diamonds to play a role as a potential wealth preservation asset, we need to reach a critical mass of people interested in diamonds, and confident that whichever diamond they buy, they will find a buyer who will purchase the asset from them, paying them a premium, just as we do already with gold, bonds, stocks, art, watches, antique cars and much more. This group will create resell value, which will in turn create demand and form a market. For all of this to happen, we will need a critical mass of believers who will keep the value of traded diamonds sustainable. Some argue that diamonds are very different to gold, crude oil and rice, because they lack fungibility. But fungibility can be created through standardizing assortments and pricing, and by going beyond the 4Cs. By providing the consumer with more details on the characteristic of a particular diamond, we improve fungibility. It is our responsibility to bring this information to the public as part of the education process. 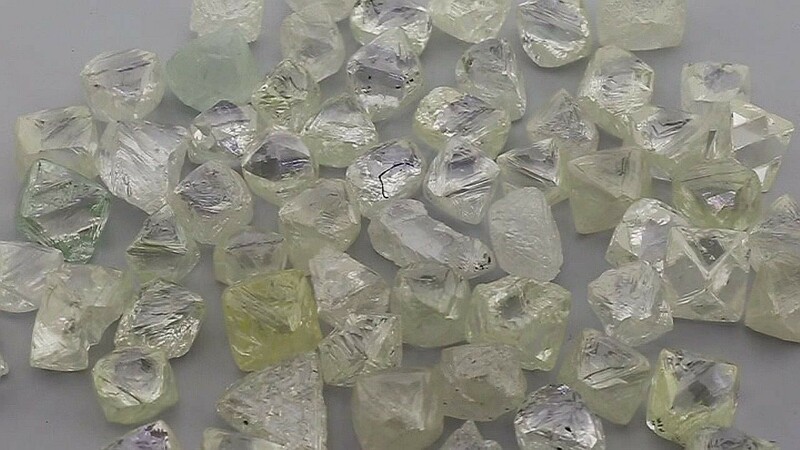 Providing information on the irregularities as part of a trading exchange will increase knowledge and confidence in trading diamonds by investors and financial firms. We at Mercury Diamond already do this, using various tools that take into account a diamond’s irregularities. As a side note on the issue of lack of fungibility, this can be said for individual works of art, which are praised for their uniqueness – the opposite of fungibility. How has art, a market that lacks fungibility, become such an enduring, proven success story? How did art becomes valuable? Because some of these pieces of art are very special and unique, they are rare (we will discuss the issue of rareness in a future article). They also benefitted from an educational process that made the general public appreciate them. Art is also bought and sold publically, so potential buyers can consider each individual work in light of its historic prices and the changing prices of similar works. Some buy art for its beauty and to make their homes look nicer, but without any expectation of selling it, just like many of the jewelry items purchased in the West today. Some buy a higher-priced piece art for its artistic value, and don’t necessarily expect to sell it, but know that like fine diamond jewelry, the piece has a resale value from which their children could benefit. And then, some buy works of art by a top artist like Picasso, Modigliani, Damien Hirst, Andy Warhol and Jean-Michel Basquiat. The Picassos are the top end of the market and where most of the public attention is focused, but these are not the only works of art that have resale value. Just like prestigious works of art, diamonds at the higher end of the market capture attention and top dollar, yet there is no reason why we won’t sell diamonds in the same tiered way as art. Some are fit for jewelry, some are high-end, and in between we have well priced, more widely available, and still very rare and beautiful diamonds that fit a resale economic model. There are many steps in creating a critical mass, and they involve different components that together, like legs for a table, are all needed to maintain it. We are talking primarily about marketing, transparency, and education. Without widespread education, there would be no widespread appreciation for art, and without that, a critical mass would not have been formed to create an art market. Education starts early; in the case of art, as early as in kindergarten. For diamonds, that may be a little early, but science classes at elementary schools discuss volcanic eruptions, which is a pre-requisite for diamonds appearing on the surface of the planet. Kids should know that diamonds are rare natural creations, formed at the depth of the planet over millions and even billions of years, and pushed to the surface by volcanic activity. Education may include museum programs that display diamonds, and discuss how they are formed, polished, traded and used. The rarity of diamonds and their unique characteristics can be explained and demonstrated. When I gave the 110.3 carat, vivid fancy yellow Sun Drop on loan to the London Natural History Museum, it was a sensation. It created a buzz in the press, people flocked to the museum to see it, and the museum produced a lot of educational material around it, including a video clip with model Jerry Hall. Many museums have a natural science section and that is where information on many aspects of diamonds can be found, and where diamonds can be promoted. For decades, De Beers promoted diamonds very successfully. In fact, it did it so well that to this day, years after the “a diamond is forever” campaign ended, we are still riding on its coattails. The campaign was mainly a marketing one, so I’ll discuss it in detail in an article on marketing, but suffice to say that the first steps in education on diamonds were made by De Beers right there. Fancy color diamonds have enjoyed great exposure from auction houses such as Sotheby’s and Christie’s. Every diamond up for sale at the auction houses is accompanied by information on that particular diamond, as well as background information (see an example here). This may include the provenance of the diamond, who previously owned it, where it was mined, if it is a Type IIa diamond, and more. This is an invaluable tool for both the general public and for prospective buyers. Currently, most high-cost white diamonds are sold privately, without a public disclosure of the transaction price. Even a 1-carat D/FL diamond is rare, and therefore I would like to suggest that the sale of white diamonds, like the sale of fancy color diamonds before them, move to auction houses. The more transactions of white diamonds become open to the public, the more educated the public will become on diamonds and their prices. This benefit of what they are doing is not limited to the publicity created by exposing diamonds to the media, nor to bringing the right buyers to the auctions. The auction houses deserve huge credit for the excellent job and the tremendous work they have undertaken in painstakingly collecting information on diamonds, and in making it freely available to anyone on their websites. We need to see this kind of effort expand far beyond the activities of auction houses. Just as the art world actively promotes art through education, art history, biographical information on artists, and information on specific works, so too should the diamond community play a role in promoting diamonds as an asset class. The industry has established a number of initiatives, such as the Harry Oppenheimer Diamond Museum, the online Museum of Named Diamonds, the Diamond Facts website, and more. But these efforts are not enough. We need to actively educate the general public. We should provide, for example, information on the economic benefits diamonds bring to African nations, remote Canadian communities, and the very large community of manufacturing laborers in developing countries. I believe educational efforts should discuss the rarity of diamonds, the options for trading them, and include buying guides with an emphasis on the economic aspects of diamonds. One such discussion could be why the tulip bulb mania is a poor lesson for diamonds, but that other commodities and collectables serve as an excellent economic model for diamonds. In the upcoming articles in this series, I’ll discuss the economic aspects of diamonds, as well as the need for detailed information on pricing and irregularities, and how all of this ties to transparency.